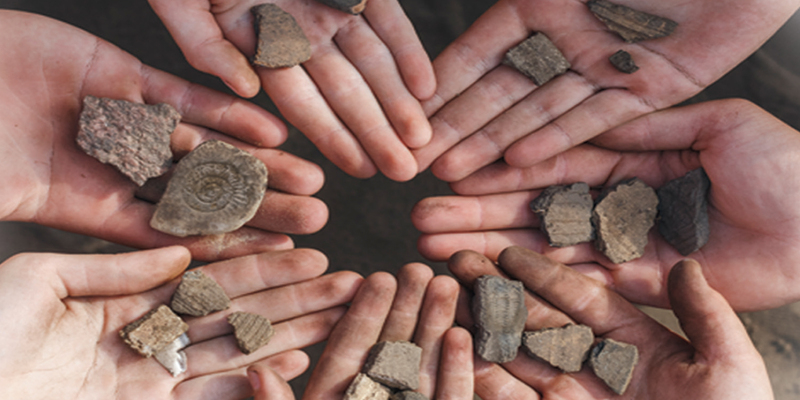 Get out your hiking boots and prepare to hunt for fossils in one of the most popular fossil-hunting locations in the Midwest: Caesar Creek Lake in Ohio (about one hour from our Creation Museum). As you uncover some fascinating fossilized creatures, you will learn from AiG geologist and Research Director, Dr. Andrew Snelling, and AiG’s paleontologist, Dr. Gabriela Haynes, who moved from Brazil and joined our staff recently. They’ll help you think biblically about geology and fossils while you learn in the best classroom of all—the field! This very hands-on experience includes instruction and special geology presentations from Drs. Snelling and Haynes. It’s a fun trip to take as a family (we strongly recommend children be aged 12 and up to attend), and you can even stay later and enjoy some of the other recreational activities the park has to offer. You can choose between one of two options. The first trip, with Dr. Snelling, is taking place June 1, 2019. The second trip, with both Dr. Snelling and Dr. Haynes, is happening September 7, 2019. If this sounds like something you and your family would like to attend, register right away as spots are limited and will quickly fill up. Choose your hunt and register at CreationMuseum.org. Previous Article The Fool and New Beginning Premiering at AiG Easter Conference Next Article Can You Study Science as a Creationist?